Final Verdict, the book Walter Schneir was writing when he died, and before he could finish it, came to me highly recommended and I can understand why. For students and scholars who have followed the case of Ethel and Julius Rosenberg -- the New York Jewish couple who were executed in 1953 as spies for the Russians -- this book offers tantalizing stories and anecdotes. It certainly keeps the case alive, but in no way does it close the book on the Rosenbergs, and in that sense the title is misleading. So is the subtitle: “What really happened in the Rosenberg case.” Whatever did happen, this book never makes clear. Let me explain. There is no “final verdict” in Final Verdict; there are only more questions, more doubts, and more disquieting revelations. Here are some of the words that Schneir uses that reflect his perspective on the Rosenberg case: “baffling,” “mystery,” “frustrating,” “incomplete,” “presumably,” and more. All too often, he writes phrases such as “I cannot resist wondering,” “for reasons unknown,” and “I have often pondered the question.” While they might be taken as the author’s own authentic disclosures about his troubled journey, they hardly inspire confidence about his methods and his conclusion. Final Verdict is a jumble and a mumble. 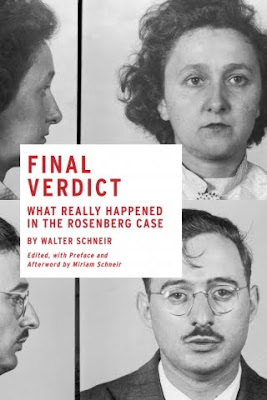 Reading Walter’s Schneir’s last book -- it comes with a preface and an afterword by his widow, Miriam Schneir -- led me to the conclusion that there will never be a complete and satisfactory explanation of who the Rosenbergs really were and what they might or might not have done. As Walter Schneir himself points out, the U.S. Government lied about the Rosenbergs from the time they were arrested in the summer of 1950 until the time they were executed in 1953. The U.S. government refused to release their files for decades. Lies were piled on top of lies on top of lies until truths were buried probably forever. The Russians kept files too, but they’re hardly more credible or reliable than those of the FBI. The Rosenbergs, Schneir says, lied too. They affirmed their innocence, and denied their guilt, though all of the evidence today makes it clear that Julius Rosenberg was a spy for the Soviet Union in the 1940s. Julius Rosenberg lied, and so did Ethel. That they didn’t steal the secret of the atomic bomb -- the crime they were accused of committing -- is clear (as well as the fact that there was no single “secret” of the bomb) and has been for a long time. Sadly, Final Verdict is a book by a scholar so caught up in his own scholarship that he becomes obsessed with it and buried under the weight of it. He is a cliché of the man who searches frantically for a needle in the proverbial haystack. In his case, the haystack or haystacks, are KGB and FBI files. Schneir’s flawed reasoning leads him to believe that the truth is to be found somewhere in the hundreds of thousands of documents about the case. In fact, the documents are false; they are compounded of lies, untruths, half-truths, suppositions, fabrications and fictions. Having lied in public before, during, and after the trial of the Rosenbergs, there was no legitimate reason to believe, as Schneir did, that the U.S. government would tell the truth in its own files. 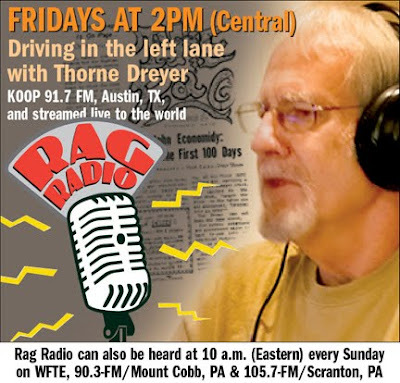 A romantic, and an idealist, Schneir believed that the dogged reporter would inevitably find the truth, ferret it out, and publish it for all humanity to see, read, and understand. If only it were so. There is no clear narrative in Final Verdict; no straight story we can follow; only a mish-mash of dates and names and Schneir’s reflections and observations about his own work. Moreover, he becomes the main character in the story and the Rosenberg’s become the minor characters. I don’t believe that was his intent; but, unfortunately, in these pages, Ethel and Julius recede into the background while he emerges into the foreground. No doubt about it, Walter Schneir was a kindly, humane man. But in these pages, he is guilty of a kind of intellectual arrogance. Moreover, he tends to belittle the very individuals he set out to defend. That too is an all-too frequent problem with scholars who spend so much time with and feel so intimately connected to their subjects that they come to loathe them, or feel superior to them. How Schneir knew what was in Julius’s “head” he never says. How he knew that Julius had “blind faith” he never says either. The fact that some members of the U.S. Communist Party had blind faith in the Soviet Union does not mean that Julius Rosenberg did, and it is unfair to link Julius to those trends and patterns without evidence. Schneir goes on to say that “Rosenberg was no great shakes as an engineer,” as though that was further proof he could not have been guilty of the crime for which he was executed. About three-quarters of the way though the book, Schneir writes that, “it would be interesting to have a clearer picture of what Julius was up to in the postwar years, but, unfortunately, a scarcity of hard evidence makes it impossible.” The lack of hard evidence does not prevent him, however, from writing that Julius Rosenberg’s “devotion to the Soviet Union and the cause of communism never wavered.” Perhaps Julius communicated with him secretly, or perhaps Schneir was channeling Julius. If you want to read about the Rosenberg case, read Walter and Miriam Schneir’s earlier book, Invitation to An Inquest, or We are Your Sons, by Michael and Robby Meeropol -- the sons of Ethel and Julius. Or read Sylvia Plath’s novel The Bell Jar that begins, "It was a queer, sultry summer, the summer they electrocuted the Rosenbergs, and I didn't know what I was doing in New York." There is one very good reason to buy Final Verdict and that is the superlative black-and-white photos of the principal figures in the case. The documents in the case lie; the memories of those who lived then are no longer to be trusted. The photos are the closest things to the truth that exist. The photos provide as real a story as we will ever know. Look at them and judge for yourself: Ethel and Julius; Ethel’s sister-in-law Ruth and her brother David; Judge Irving Kaufman who presided over the trial; Irving Saypol, the U.S. Attorney, who prosecuted, and his assistant Roy Cohen; Emmanuel Block, the Rosenberg’s lawyer. So many Jews! Indeed, the trial of the Rosenberg was all about Jews, Judaism, and anti-Semitism. Finally, in Final Verdict, there is the amazing photo of the crowd of courageous New Yorkers who gathered on West 17th Street in Manhattan on June 19, 1953, the day of the execution, to bear witness to the deaths of Ethel and Julius and to this immense psychic and political wound to the body of America itself that has never healed, that won’t go away, that haunts this country to this day.